Architect Pierre Thibault’s work is known for its minimalist sensibility, with projects sitting quietly in their urban and rural settings. 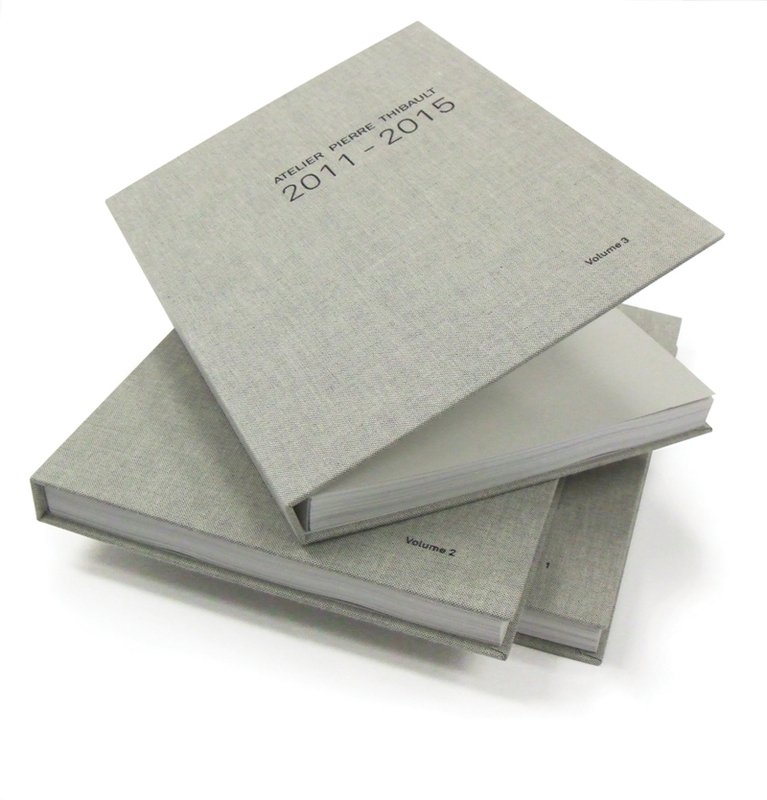 The studio has now compiled its work in a set of three substantial hard-bound volumes. Each book includes ten projects, mixing built work and unbuilt proposals, and ranging in scale from theatre sets to building complexes. In all, thirty projects are presented in plans, photos, model images, and pen-and-watercolour sketches. The layouts are spare, usually with just a single image occupying each spread. There’s a luxuriousness to the books, which were printed and bound in Quebec rather than overseas. Qualities such as their fabric binding and the heavy weight of their paper add to the pleasure of perusing them. 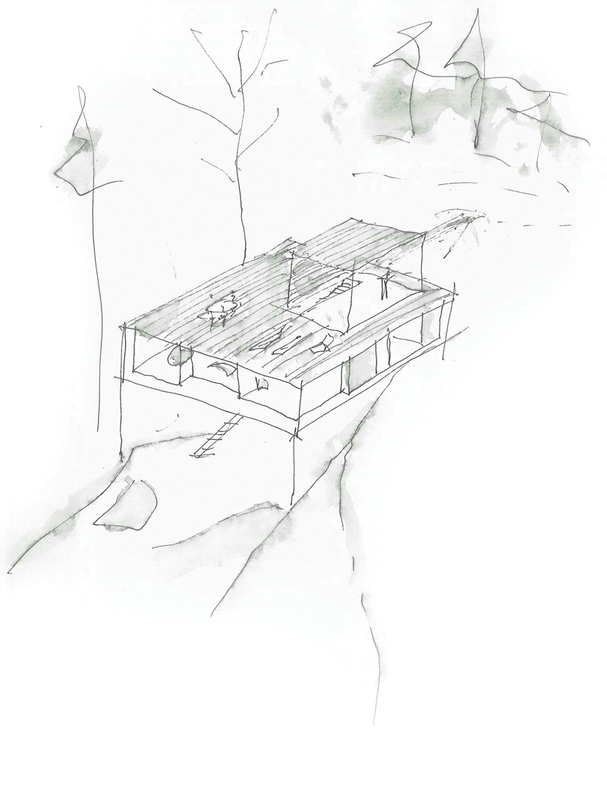 A conceptual sketch for Pierre Thibault’s Le Grand Plateau house in Lac Héron, Quebec. A year earlier, the portfolio publication was preceded by a book slimmer in size but more substantial in text, Et si la beauté rendait heureux. It takes the form of five conversations between Thibault and journalist François Cardinal, each in a different place—the architect’s country house east of Quebec City, the condominium where he resides in Montreal, a house he designed for two Montreal art collectors, the Abbey of Val Notre-Dame, and Thibault’s favourite city, Copenhagen. Over glasses of wine in these inspirational settings, Thibault and Cardinal muse on the intertwining of philosophy and aesthetics: what if beauty made us happy? Is beauty necessary for being happy? (Spoiler alert: yes, according to this book). In a world that’s increasingly focused on digital technologies, it’s an homage and a plea for thoughtfully designed, real-world buildings and cities.